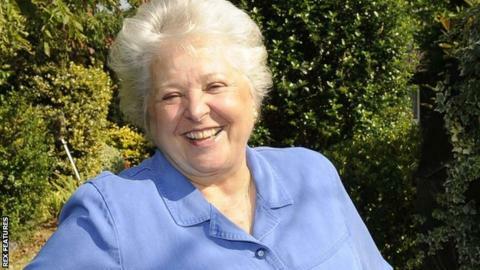 Former leading trainer Jenny Pitman is to join the British Horseracing Authority's disciplinary panel. The 71-year-old's appointment comes after recommendations by an official report that more ex-trainers and jockeys should be used in the process. Pitman, known for her straight talking, retired in 1998 having won two Grand Nationals and two Cheltenham Gold Cups. She is one of 15 new members, along with former jockeys Philip Robinson and Jodie Mogford, on a 23-strong panel. The addition of racing professionals was among changes recommended by Christopher Quinlan QC in his report last year on the BHA's integrity after the Jim Best and Matthew Lohn controversy. Trainer Best was originally banned for four years for ordering a jockey not to win two races but his suspension was reduced to six months after the initial verdict was quashed because of "an appearance of bias". Lohn, the solicitor who chaired the initial hearing, was carrying out other work for the BHA at the time. Clearly there's a whiff of poacher-turned-gamekeeper about these appointments of Jenny Pitman and co, but a QC-led review commissioned after a number of embarrassing controversies was clear that a shake-up was needed, and one of the things it identified was using more experienced ex-professionals. Pitman became one of the best-known trainers of her generation during 20 or so years of training, which ended just under 20 years ago, a period during which she smashed through boundaries for females in an unquestionably male-dominated sport. The reasonably smooth running of areas like discipline and licensing (of owners, trainers, jockeys etc) is vital to any sport, and there's no question that confidence in the system has been dented and does need to be rebuilt.